Monavie Scam - Any Truth to the Accusations? Health and wellness is a a multi billion dollar industry because baby boomers, the demographic with most of the disposable income, are getting older and they don’t like it. So it should come as no surprise to see dozens, even hundreds of new health and wellness products and companies springing up across the globe. Not surprisingly, when a particular company or product starts becoming popular, you will start to see negative reviews and feedback. The latest Monavie scam claims are a prime example. Is there any truth to the Monavie scam claims? Any true to the Monavie pyramid accusations? It really depends entirely who is making the claim and what their agenda is. The company’s competition may be quick to disseminate false information. Then disgruntled customers and ex-distributors often join in. So let’s take a real, honest, object look at the company, the products and the compensation plan without a hidden agenda and let the facts speak for themselves. Dallin Larsen co-founded Monavie in 2005. His background is varied. 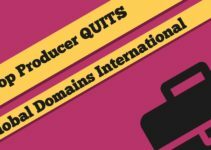 He was acted in the position of VP for USANA, another Utah-based health and wellness network marketing company, and worked in the same capacity with Dynamic Essentials until it was closed by the FDA in 2003. Monavie’s flagship Acai Berry juice product became very popular, very fast because the Acia berry is claims to provide a large number of unique health benefits including arthritis pain and inflamation relief, weight loss, lowering of high cholesteraol, erectile dysfunction and the improvement of a person’s overall health. But according the the world-renowned Mayo Clinic, while the the acai (ah-sigh-EE) berry is widely claimed to be a so-called superfood rich in antioxidants, fiber, and heart-healthy fats and amino acids… the same can be said about most fruits and vegetables. Standing alone, health benefit claims of acai haven’t been proven. So the first Monavie scam claim you have to consider is are the products worth the price? Can you buy a similar product, with similar health benefits at your local store and pay less? There are many acai berry products available today. Check your health food store shelves and simply compare ingredients. All Monavie products are sold and distributed entirely through a network of independent Monavie representatives, The cost to join is only $39, but all distributors are required to puchase, consume and sell minimum amount of product on a monthly basis in order to remain qualified to earn commissions on product sales, new distributor signups and team volume overrides. The Monavie compensation plan is considered to be a hybrid binary that pays a 10% commission on product volume generated on the “weaker leg.” First order bonuses and bulk order bonuses are also paid. To earn the highest commissions allowed, a distributor needs to personally purchase at least 200 points of product every four weeks. You can have up to four business centers and, at the highest levels of the compensation plan, the company pays out a solid 50% of all product volume generated. So What’s the Monavie Scam Bottom Line? Monavie is a well-established 5 year old company with a proven track record. The products are viable, and the compensation plan seems fair. But when you take a closer look at the income disclaimer on the companies web site you will discover a full 87% of the people who sign up to start their own Monavie business and make at least one product do not every sponsor or recruit anyone into the business. In other words, these well-meaning people should really be considered to be nothing more than wholesale customers. The challenge is, from my experience in the health and wellness industry, is if a person is NOT actively building their business – they will NOT continue to purchase products on a monthly basis if a comparable product can be purchased somewhere else less expensively. Like at Costco or your local health food store. Of those who have sponsored at least one person and who have received at least on non-retail sales related bonus, the average annual income is a little over $2,800. Less than 5% of all active distributors are making more than $10,000 a year and a few top earners are making millions. If you are seriously thinking about joining Monavie to build a profitable business, realize your business will only grow at the rate in which you can sponsor and recruit new distributors and sell the product. Sales and marketing is the name of the game. Period. Bottom line. No one is going to build your new business for you. So what’s your plan? Who are you going to approach and how? What happens when you run of “warm market” – those people you know? How do you intend to continue to expose the product and opportunity to new people on a daily basis over an extended period of time? Will you buy business opportunity leads, call them, and follow up? Will you run paid advertising campaigns or have a budget to participate in the various co-ops your team leaders may offer? Will you host home tasting parties or hold business opportunity hotel meetings? In other words, what’s your plan? The key is to find a way to drive dozens, even hundreds of new visitors to your web site on a daily basis which is often easier said than done because there is a lot of competition online for that same traffic. Perhaps the best way is to use an attraction marketing system to funnel the traffic to your web site. Done properly, you can literally generated leads on demand, create an addition stream of cash flow, and promote your new business all from one marketing funnel. Leads and traffic is the name of the game. So before you join any business, make sure you have a clear idea and plan for how you will generate leads and traffic on a daily basis. 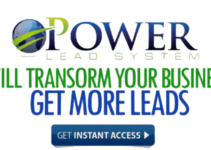 My Lead System Pro offers a proven step-by-step system to help you do just that. Take a look. You may be surprised, even shocked to discover how simple it really is to make money online. Another to take into consideration – is there potentially a BETTER, MORE LUCRATIVE option today? PS – Make sure to LIKE, COMMENT and SHARE this post. What challenges are you struggling with when it comes to building a profitable business from home? FANTASTIC! I love to hear a great success story. Good on you for making it happen. IMHO its not a scam at least the shake mix is not.